The 7-day detox went quite well. The goal was to shed a few pounds and get the sugar out of my system. The sugar cravings are gone, my appetite is down, and I lost 9 pounds. And I feel great! The first couple of days I was a little tired, but the rest of the time I had so much energy I could hardly sleep. The detox diet was strictly raw fruits and veggies. The hardest part was no salt. The next hardest part was no hot food during the coldest weather in 25 years. And I missed cooking. I really wasn’t ever hungry until the final day. Here’s what I ate in one form or another last week. The seasoning is Bragg's salt free blend. I alway tossed very well before digging in! These berries are defrosing and were delicious when ready. Some fresh fruits I ate were apples, pears, blueberries, and bananas. Wednesday my mom and I leave for Alabama to visit my sister and her family for a week. I will be in charge of healthy vegan dinners. I will also be cooking for at least one, but possibly two dinner parties for omni guests interested in becoming vegan. 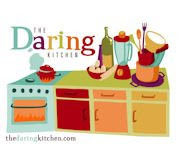 I would really appreciate your recommended recipes – your own or from cookbooks – to wow my family and friends. I’m packing Vcon, Urban Vegan, and Dreena’s books to take with me. PS: I’m still trying to catch up with all of your blogs. I’m doing the best I can while going to work and packing! PSS: I just clicked on the new Go Vegan blog in the Foodbuzz box and it crashed my computer. Did this happen to anyone else? Are you keep on a diet?The food seems contains no beef or meat or something like that...Nevertheless,the colour of the food is indeed beautiful and i am hungry when i see the pictures...Thanks for sharing. I love the look of you detox food. I have no problem leaving out salt or sugar but eating all raw food in cold weather always makes me feel cold. Could you have warm or hot tea? I have some recipes in mind and will email them tomorrow. 9 lbs. in 7 days?!?! Whoa! I'm detoxing for the entire month of January and I'm feeling better already. I'm so happy you had such amazing results! If you hadn't already mentioned it, I would've suggested taking Dreena's books. I'd recommend any of her chilis or soups to please a crowd. From Veganomicon, my favorite recipe is the Chickpea Noodle Soup. I did a review post on Oct. 1 of Urban Vegan and my favorites are there. Have a wonderful time cooking for everyone! Congratulations on the successful detox! You've now inspired me to give this detox a try, I think I can live without salt or sugar. Have fun cooking, I'm sorry I'm not really good at thinking of vegan recipes to please a crowd. Everything looks so fresh and beautiful. What fantastic meals you've been enjoying. Congratulations on the detox, glad you are feeling so great! Not to say, I don't feel great. But I still want coffee. And I'd like a cupcake. Eating so many fruits and vegetables in winter sounds like a great idea! For sure you'll fight off every cold now. i wish i lived where tomatoes were local year round!! Next Sunday I am starting your detox diet. I think this is what I need to cleanse my body and it will be a good way to begin this new year. Thank you. hooray for detox success, Diann! so awesome that you got all the sugar out of your sysytem, felt great, and had tons of energy as well. w00t! all your detox eatz were fantastical - but i've gotta admit i'd miss cooking and salt, too. :) have fun in Alabama! i really like the leek potato cassoulet and the snobby joes from v'con. i like the chimichangas from EB&BV, too. mmmmmm! Have a good time in 'bama. I always suggest pots of beans & greens. Always a crowd pleaser and so simple to make! Enjoy your trip! It's always nice to see family. I'm spending a few days catching up on blogs too. I just had too much on the go for a while, but things have slowed down now. Have you noticed a lot of bloggers have just stopped posting. No explanations. Glad to see you're still posting! And congrats on a successful detox! Ooh. So much raw goodness! Congratulations on the detox. Did you loose 9 pounds in 7 days?! I once did a 5 day colon cleanse; psyllium husk and organic apple juice every three hours. I was annoyingly energetic. I have been looking for a good book to help me get through my diet. In the end I googled it and found this site http://www.hungryforweightloss.com.